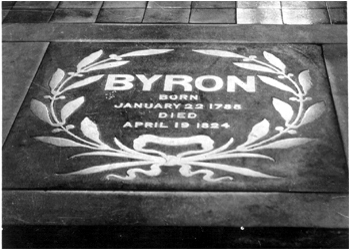 A visit to St. Mary Magdalene, the Parish Church overlooking the Market Place, is to be recommended, since it is of great architectural interest and famous for several reasons, the most notable of which is the burial of Lord Byron. He was a talented poet but led a scandalous lifestyle. He cared though about local people, maintaining, during the Luddite disturbances, that help was better than hanging for frame-breaking and made his maiden speech in Parliament in defense of the framework knitters. His daughter Ada, Countess of Lovelace, who is buried beside him, worked with Charles Babbage, of early computer fame, and was the writer of the first computer program. The church is also home to a superb collection of stained glass by C.E. Kemp, with 18 impressive examples of his work. In the churchyard is a memorial to Ben Caunt, a prizefighting champion of England (1841 - 1845) who lost the title to Bendigo of Nottingham. Eric Coates, musician and composer, was born in Hucknall, one of his tunes being �The Dam Busters� for the film of the same name. There are other interesting church buildings in Hucknall, since non-conformity in the past and present is an important characteristic of this community. Romans Pub, on Annesley Road, was originally a Methodist meeting room, first built in 1828 on the site of a barn which had been used for worship. 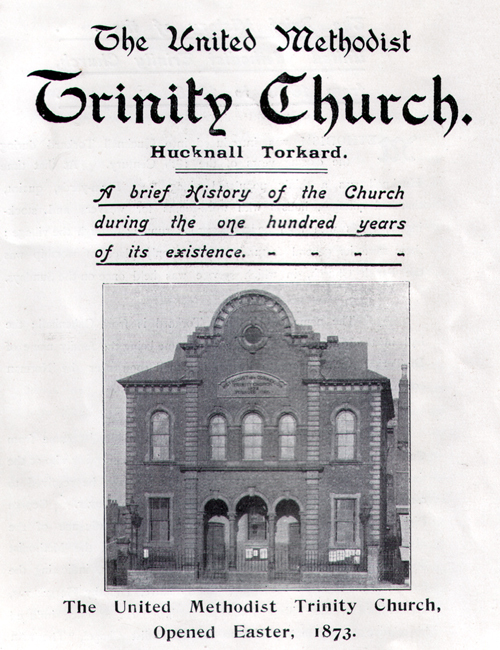 However, due to increased membership, a larger plot of land was bought on Baker Street to build Trinity Methodist Church. The present new Central Methodist Church stands in the same place today. Members of the Baptist Society have also worshipped here for many years, building their first chapel on the Folly in 1835. A beautiful new Baptist church, in the Italian Renaissance style, was built in 1876, on Watnall Road, at a cost of about �4,000. Many other denominations worship in Hucknall, including The Salvation Army, Wesleyan Reform, United Reform and Roman Catholics. 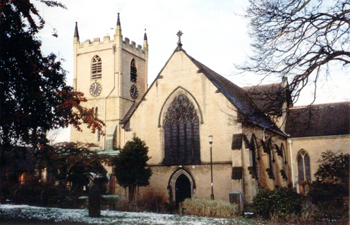 Two other Anglican churches are located on the outskirts of town, namely St. John the Evangelist, at Butler's Hill, and St. Peter and St. Paul, on Ruffs Estate, serving communities of more recent times.